The name Finisterre comes from the Latin finis terrae, the limits of the Earth. Romans used to believe that the Earth ended near Hercules' columns which we call now the Gibraltar passage. Finisterre is the name of this region located in Spain. Finisterre is also the title of a collection of poems by Italian poet Eugenio Montale who was born in Genoa, the city where the band lives. 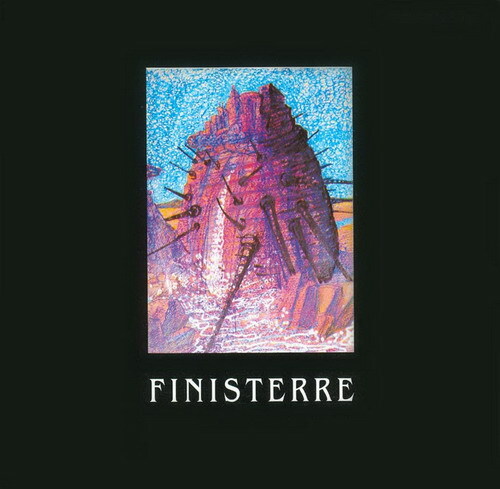 This reference to a poet is an apt one, as Finisterre's music is an arabesque of lightly-colored nuances, with eloquent orchestrations. To the traditional grouping of acoustic guitar, keyboard, drums and bass we also find a flute player who also doubles on electric guitar and backing vocals. Add to this initial setup guests on recorder, soprano and tenor saxophones, viola, violin, and a five-person choir and you get the ingredients needed for a broad variety of styles. From the rather new-agey intro to Gregorian-like vocals to hard rock bits where Mozart and Gershwin suddenly are making appearances, to the tragico-romantic vocal parts on "Macinaaqua, macinaluna," the broad feeling of the music is one of playfulness that doesn't sacrifice the underlying seriousness of the compositions. Finisterre aren't doing the heaviest prog around. Rather, a gentle approach is used where often the flute moves from back to foreground, supported aptly by a good rhythmic section and at times poignant melodic lines. A large part of the album is instrumental and this shines on the 15-minute "Sun," a smooth-going melodic piece, perhaps echoing a bit of Genesis in the Selling England by the Pound period by the voluptuous guitar leads. All in all it makes for a very interesting debut album. The band has already started composing the material for the next album and they'll enter the studios in November for a possible disc release in January or February. The Earth doesn't stop at Gibraltar and Finisterre makes for a sweet celebration of a newfound territory where romanticism neighbors an ambivalence of dynamic and subtle moments. Finisterre is another debut from the country with more bands than fans. While many of Italy's newer outfits fall squarely in mediocrity, Finisterre looks like one of the brighter spots. The band is essentially a quintet with several guests and perform an atmospheric symphonic rock with influences from both the 70s Italian scene and the British neo-psych outfits like Ozric Tentacles or Omnia Opera. Finisterre have created an elaborate and elegant music and aren't afraid to be inventive or complex. There are some brilliant moments with great guitar and keys, yet the entirety isn't all that gripping as Finisterre spend more time in low key than where they really shine which is in the upbeat vein. The spacey synths that provide the atmospheres and ambiance are quite prevalent throughout the album yet prove to be a bit overdone through the length of the album. Debuts tend to get the rough edges out in a band and hopefully their second will prove this group's tremendous potential, as this is a nice album. How good it is to hear a new Italian band with such a solid footing in the 70s. Sure they tinker around with some neo-progressivisms (and they do that quite well also), but it's clear that this young five-piece from Genova have cut their teeth on the classics. They give many of the 70s bands a good run for their effort, yet Finisterre have to be commended for capturing the spirit without copping the riffs. They have done their homework well. All five members play something – there is no dedicated vocalist / frontman here to get in the way of the music. In fact only three of the album's eight tracks feature vocals, capably provided by the various band members, lyrics in Italian, of course. The instrumentation is guitar, keys, bass, and drums, augmented by flute, with guests providing additional flute, recorder, alto and tenor saxes, violin, and viola – plus full chorus on one track. There is so much going on here musically that it's difficult to itemize, and furthermore each track is significantly different from the others – yet it can be said that the sound is a band effort, and while there are solos aplenty, no one instrument seems to dominate the mix. They bounce between driving high energy rock excursions and more serene folk and classical elements with surprising ease. Influences are evident, but well assimilated within their own vision. Suffice to say that fans of Camel, PFM, Osanna, Tull, as well as newer bands should find much here to enjoy. Evidence again that symphonic rock in the classic style is alive and well. Finisterre is one of the best new surprises of the year.